We’ve travelled the world, been to dozens of countries and seen some amazing sites. But once in a while you’ve got to return to your roots and visit Canada. It can be easy to overlook Canada but the true north is home to global cities, untouched wilderness, and everything in between. We’ve decided to give each province and territory its due, so we’ll take a quick look at our three favourite destinations in all of them, from the Yukon to Newfoundland. We can’t include everything so if you think there’s something we should’ve included, let us know! Without further ado, here are our favourite places to go in Canada! Want to learn more about Canada? As I’m sure most of you already know, Canada has a pretty comprehensive transportation network. Whether you’re looking to fly, drive cross-country on the Trans-Canada, or ride the rails – you have a multitude of options. If you plan on heading into parts of the Yukon, Northwest Territories, or Nunavut – be sure you know what you’re doing and have proper supplies. Options for traveling to the island of Newfoundland differ between seasons, with the longer ferry between North Sydney and Argentia not running during winter months. We don’t need to go into too much depth here, as I’m sure you’re all used to good-ole Canadian weather. From the rainier areas in BC to southern Ontario to the Arctic or sub-Arctic regions, Canada has a wide variety of different climates. The one rule of thumb is that winters will generally be harsh throughout most of the country, so definitely use caution when driving. You’ll quickly find that this large northern territory is home to some of the most spectacular natural sights on the continent. You’ll have some towns to stop in on the way, but expect the majority of your trip through the Yukon to be rugged and remote. 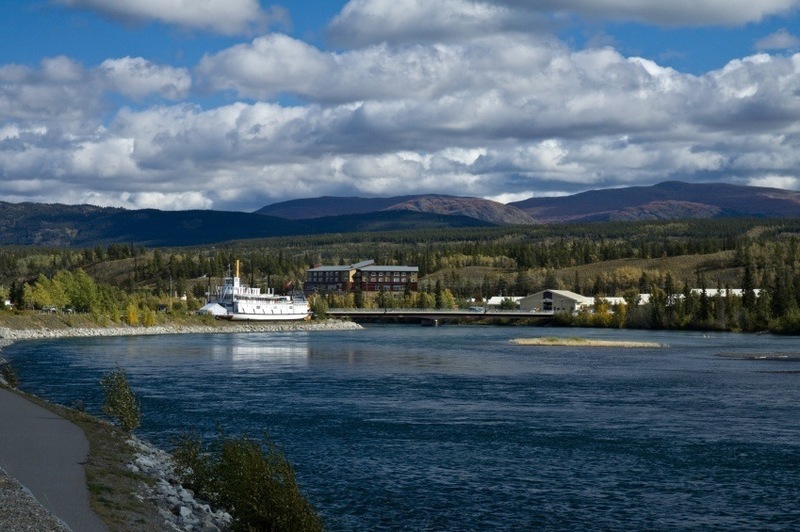 That being said, a stop in Whitehorse before heading out into the wilderness might be just what you need. As the capital and effective hub of the region, you can embark on a great journey via the Alaska or Klondike Highways – plus many other nearby escapes. The city itself features a bustling arts community, but you’ll likely want to pack up and hit the trails or open road before long. If you’re looking for a more atmospheric and interesting locale, check out Dawson City. The true pioneer spirit is still alive, with the town giving off a northern frontier vibe that harkens back to a bygone era. There are cultural events aplenty, especially during the summer, so make sure you have the energy to keep up! The sheer scale and beauty of Kluane National Park is hard to put in to words. The peak of Mount Logan (Canada’s highest mountain) is certainly an imposing sight, but there’s so much more to the 22,000 square kilometre area. Glaciers, hiking, and completely forgotten land wait for you to discover. If there’s one thing to be said for British Columbia, it’s that those who call it home are certainly proud of their province. However, they have good reason to be. From one of the most vibrant cities in the country to unmatched wilderness and alpine sports, British Columbia is indeed beautiful. First and foremost, no trip to BC is complete without a stop in Vancouver. The city is almost overwhelmingly hip with trendy cafés, shops, craft beer, and much more to take the edge off for an afternoon or night. The multicultural makeup of the city is clearly seen, especially with a large East Asian population – which adds to the flair and diversity of sights and activities. 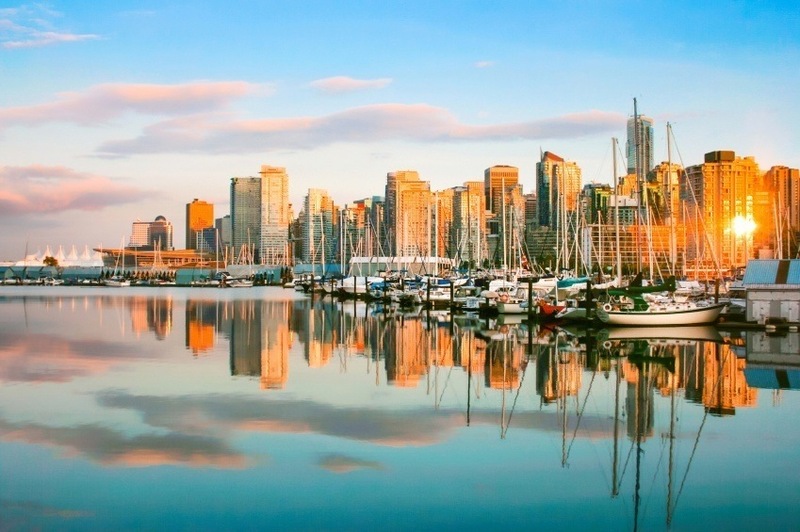 Whether you’re the artsy type or just looking to let loose (or both), make a point to stop by Vancouver. If you want to channel your inner Olympian, Visit Canada. 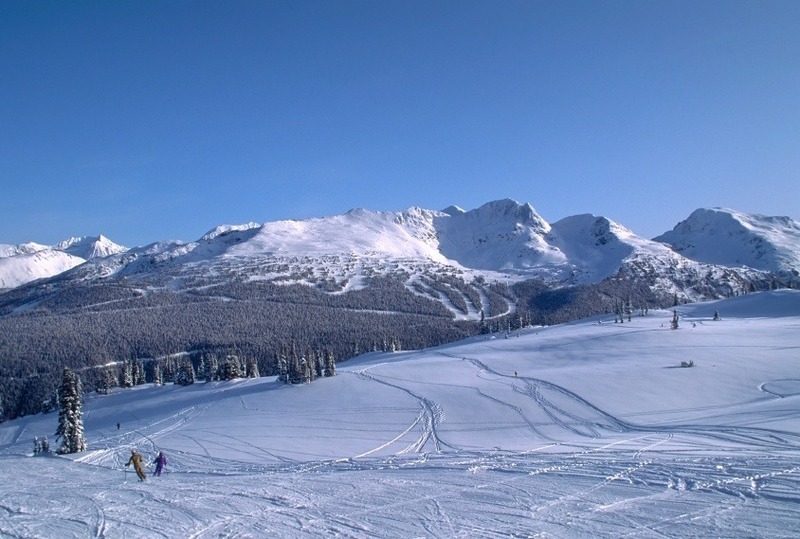 Whistler is one of the best places to go in Canada (or North America in general) for skiing and snowboarding. The resort town has a post-card like quality (similar to other resorts such as Vail, Aspen, or Tremblant) but that’s part of the charm. Whether it’s a day on the slopes or a hot chocolate in the lodge, Whistler is a must for any alpine sports enthusiast – veteran or beginner. If you have a chance to venture away from the city and ski hills, be sure to stop by the increasingly popular Okanagan Valley. This fertile region is home to excellent wines and charming towns. The city of Kelowna is fast becoming one of the premier cultural hotspots in the region as well. Be warned however, crowds are growing larger – especially if you visit during the summer months. While this territory lost more than half its land area to Nunavut in 1999, there’s still a lot to see in the northern reaches of the country. Another example of the frontier spirit remaining alive and well is Yellowknife. There’s an intriguing mix of aboriginal, pioneer, and modern entrepreneurial spirits here. The city has always been at the forefront of discovery, first with gold and now with diamonds. Be sure to check out one of the many festivals or historic sites when you’re there. 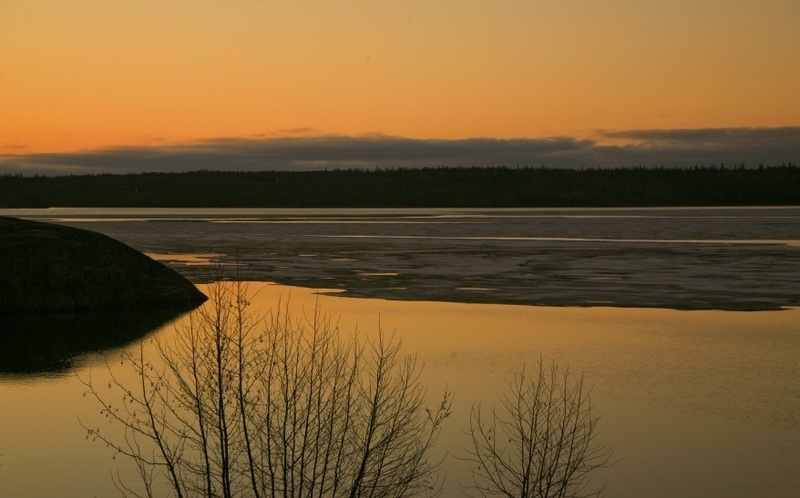 While it may not be the NWT’s largest lake, Great Slave Lake is North America’s deepest. South of the lake you’ll find rich forests full of rivers and waterfalls while Vale Island in Hay River offers a great beach you might not expect to find up here. All told, there’s enough natural beauty and civilization along the lakeshore to keep you occupied for a while. Travel on the amazing Dempster Highway by way of the Yukon and you’ll eventually find yourself in Inuvik. The town is popular amongst those looking to tough it out, with the rugged nature charming in its own way. 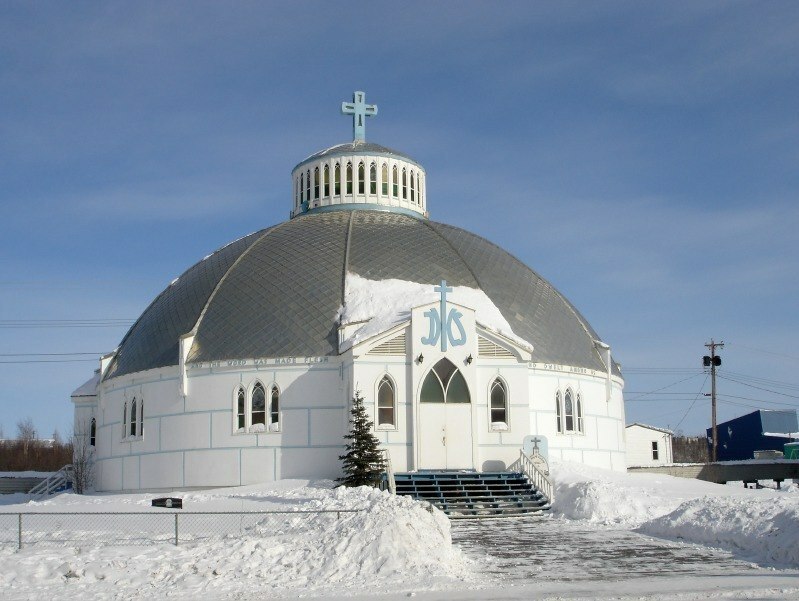 Be sure to take a picture of Our Lady Victory Church – also known as Igloo Church – while you’re there. While it might sometimes be overlooked in favour of BC to its west, Alberta offers fabulous natural sights and some down to earth grit. 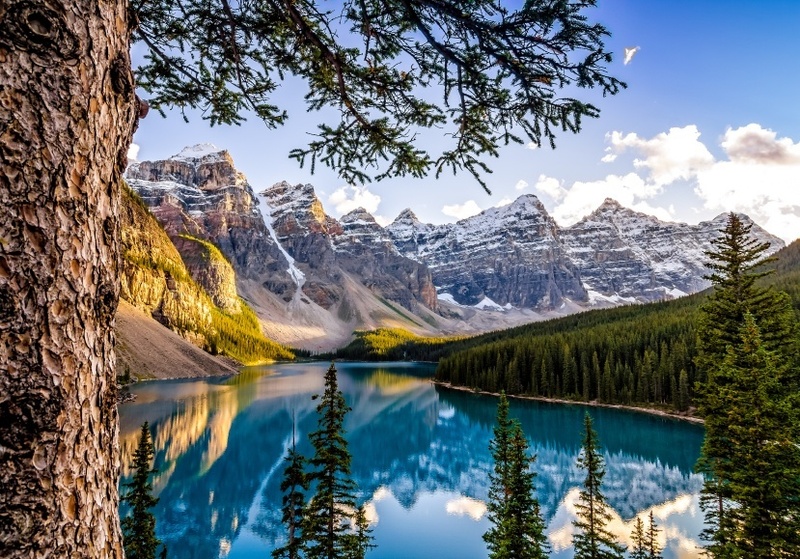 The absolute must see places when you visit Canada is in Alberta: Banff and Jasper. Located in the Canadian Rockies, these adjacent parks offer massive glaciers, pristine forests, and more wildlife than you can shake a stick at. From the Columbia Icefield in Jasper to the hot springs of Banff – you’d be hard pressed to find any more strikingly beautiful places to go in Canada. The two centres (of which the parks are named for) offer easy and convenient access to the natural wonders of the region. Alberta’s largest city, Calgary, is a raucous escape more akin to something you might expect to see in the American south (or dare we say Texas?). And that’s not just because the famous July Stampede is one of the most well known events associated with the city. There’s a swagger to Calgary that is undeniably intoxicating when you have a chance to take it in. Finally, there’s been an increase in trendier bars, coffee shops, and more cropping up recently if the rodeo isn’t your thing. While it may not have the reputation as a go-to travel destination, Edmonton still has some impressive sights of its own. While it’s often used a staging post for the nearby national parks, there’s definitely enough to detain you for a while. The continent’s largest mall offers a novelty escape, but you’re better off visiting around the time of the annual fringe theatre festival – one of the largest in the world. No, this prairie province isn’t just flat. Venture off the beaten path a bit here and you’ll be treated to rolling hills and rugged beauty at every turn. 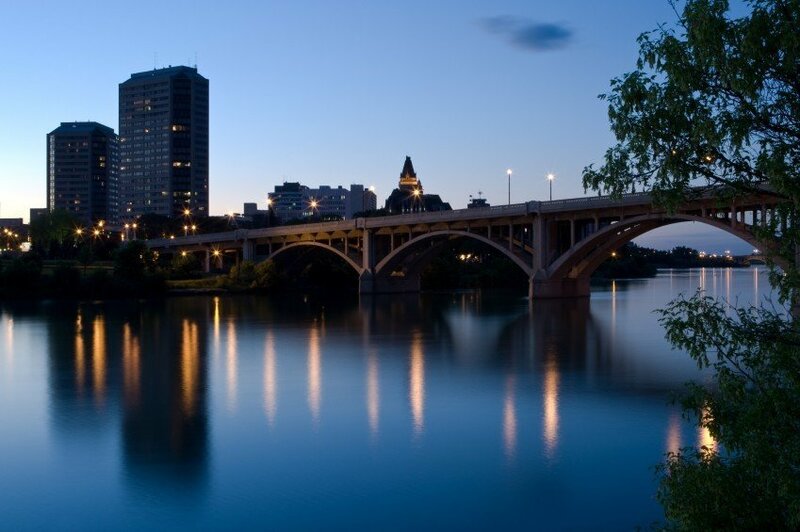 Firstly, a stop in Saskatoon is a must even if you’re just traveling through. There’s a cosmopolitan atmosphere to the city you might not have expected. Be sure to check out one of the many great restaurants here, often with local produce on the table. Lastly, live music can always be found, whether you’re a rock or country person. 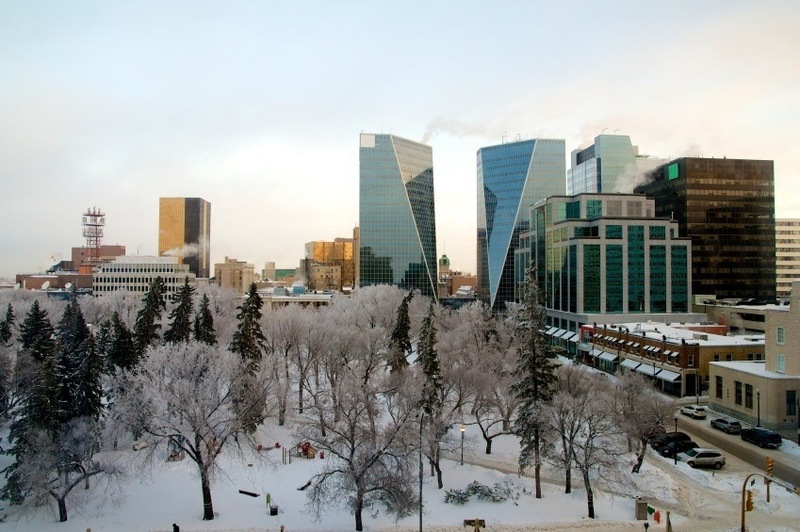 The capital, Regina, is a worthy stopover on the Trans-Canada. Bars, restaurants, hotels, and quiet areas to sit and relax can all be found here within the city’s borders. Music, theatre, and dance are also popular, with some notable big names coming through. Finally, the small city of Moose Jaw is well equipped to deal with tourists of all sorts. The city is known for industry and the military (it’s the home of the Snowbirds), but there’s a lot to see for everyone. Mineral spas, tunnels, the Moose Jaw Trolley, and more are all great ways to spend a weekend. Canada’s newest and largest (and least populated) territory offers some of the most remote and rugged escapes in the world if you’re willing to work for it. Costs can skyrocket and logistics are complicated, but if you can make it out here, it’s a unique trip you’ll remember forever. Iqaluit is one of the more unique capitals you’ll find in Canada. A hearty dose of Inuit culture coupled with an interesting mix of enterprising outsiders means you’re sure to meet someone interesting during your stay here. The architecture is unremarkable but functional – a product of the location, but you’ll still find places to eat and sleep here. The wholly fascinating Auyuittuq National Park offers an eye-catching snapshot of the region’s natural splendor and one of the most spectacular places to go in Canada. Known as ‘the land that never melts’, you can find great hiking here, even going north of the Arctic Circle. Fjords, glaciers, sheer cliffs and peaks such as the imposing Mount Asgard and Mount Thor, as well as massive ice fields are just some of the parks remarkable features. You always wanted to go to the Arctic? This is the best way to see what it has to offer. Before heading into the park, be sure to stop by Pangnirtung (or just Pang). The community is home to a robust arts scene and great scenery that only gets you hungry for more. From Mt. Duval to the adjacent fjord, the scale of it all will truly overwhelm you. From the Arctic, we head back down to the prairies. Manitoba is home to a great city, wilderness of all sorts, and even polar bears. We’ll cover the polar bears first. Make the effort to visit Churchill in the northeastern part of the province and you’ll find a one of a kind community on the shores of Hudson Bay. 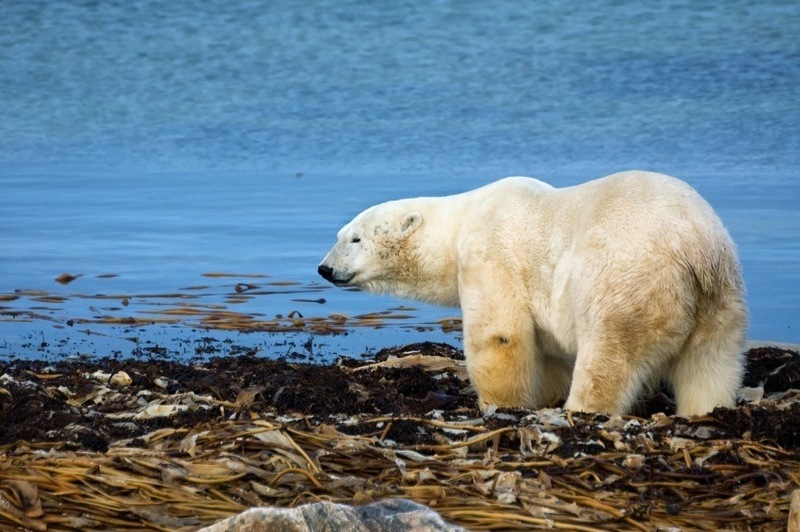 During October and November, an abundance of polar bears move towards the shore – giving credence to the moniker ‘Polar Bear Capital of the World’. Besides the bears, you can see beluga whales and visit a massive stone fort on the mouth of the river. 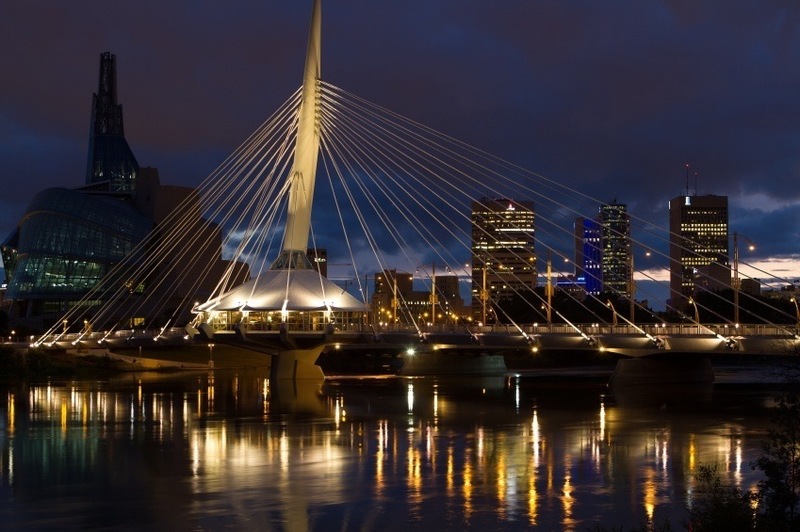 Manitoba’s largest city, Winnipeg, is the other major feather in the province’s cap. The historic neighbourhoods, classic big city thrills, and the return of an NHL franchise are just some of the reasons it’s never been a better time to visit the city. Theatre and all sorts of music festivals are also commonplace here if you’re looking to take in a show. While Western Manitoba can be overlooked as an endless sea of grass and farmland, you’d be missing out on Riding Mountain National Park if you did so. From the small town of Wasagaming on the shores of Clear Lake to the forest, mountains, and even moose – there’s no better serene escape from the bustle of daily life in this part of the country. As we arrive in the east of Canada, we’re greeted with a completely different vibe. From one of the continent’s major cities to our nation’s capital, Ontario is yours to discover. We’ll cover the elephant in the room first, and it’s a big one at that. 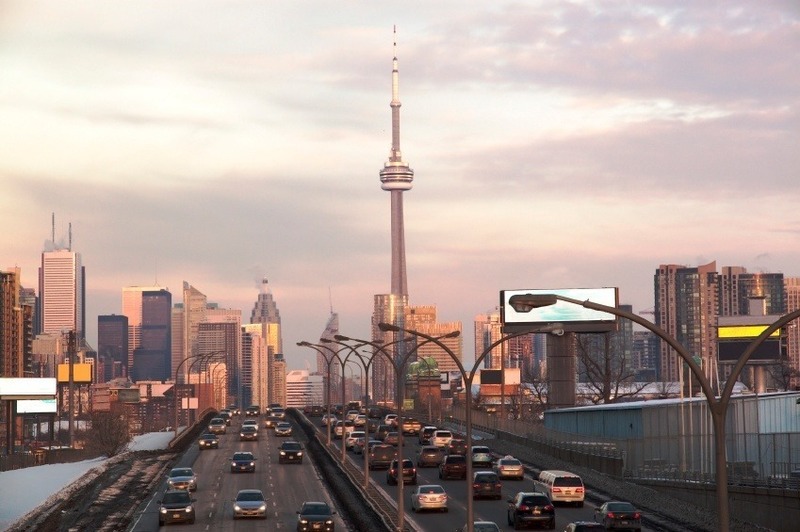 Canada’s largest city, Toronto, is home to many and visited by even more. The big city thrills are here and they are plentiful – from bars, clubs, and festivals, to restaurants serving combinations of food you didn’t even know existed. Whether visiting one of the many ethnic villages or wandering the lakefront, checking out museums like the ROM and AGO, historic sites like Casa Loma and Fort York, the world’s (former) tallest freestanding structure, and the Skydome; there’s a magic to the big city that can’t quite be put into words. 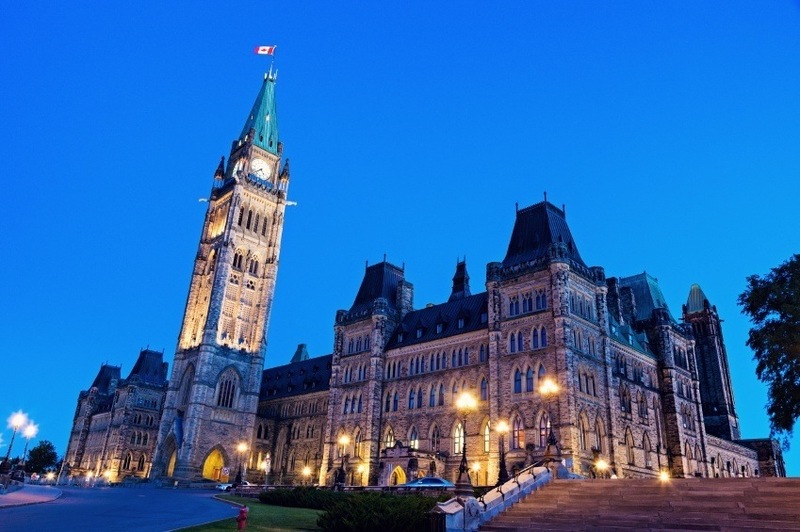 The much smaller Ottawa has its own draws – first and foremost Parliament Hill. The architecture is imposing, and worthy of a major country’s capital. 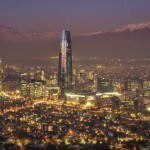 Any time of the year, you’ll find an abundance of stuff to see and do such as museums, historical monuments, attractions, and even a vibrant nightlife, all within a manageable size cityscape. Take a tour of parliament, catch a Sens game, or just stroll through one of the city’s many parks while you’re at it. Visit in the winter to skate the world famous Rideau Canal while eating beaver (tails) on the banks. 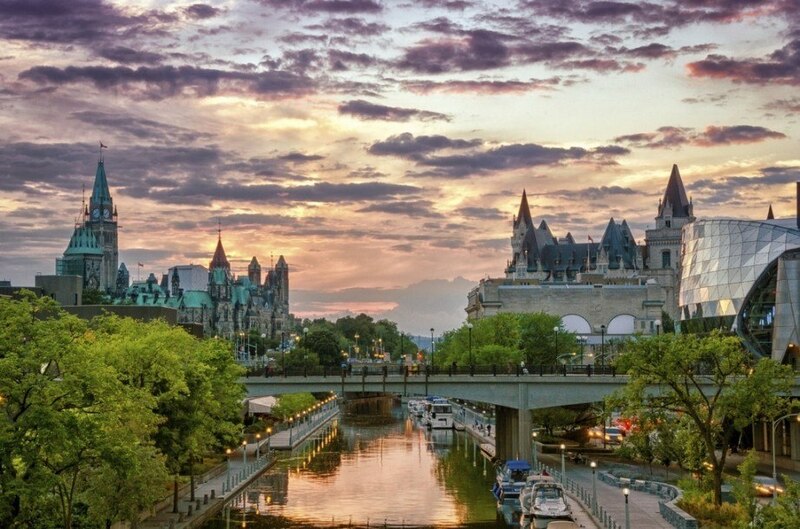 Finally, visiting Ottawa on Canada Day is something you should do at least once – if you can brave the crowds and break out your red and white! For our third Ontario destination, we had a tough choice between the Thousand Islands and Kingston, Algonquin Park, or Niagara. Ultimately we decided on the first one, however we’ll cheat and recommend you should visit them all anyways. Regardless, the Thousand Islands (about 1800 to be more exact) offer scenic getaways in the form of camping, kayaking, canoeing, and more. Gananoque serves as an ideal gateway to the wilds of the islands, offering small-town charms of its own. Drive down the 401 for 20 or so minutes and you’ll find yourself in Kingston. This historic city (our first capital) is a bustling university town that’s full of life with tons of restaurants and pubs. Be sure to visit Fort Henry for a great view over the cityscape before you leave! Canada’s most unique and distinct province offers a completely different experience. From the minute you enter Quebec, it’s like you’re in another country. 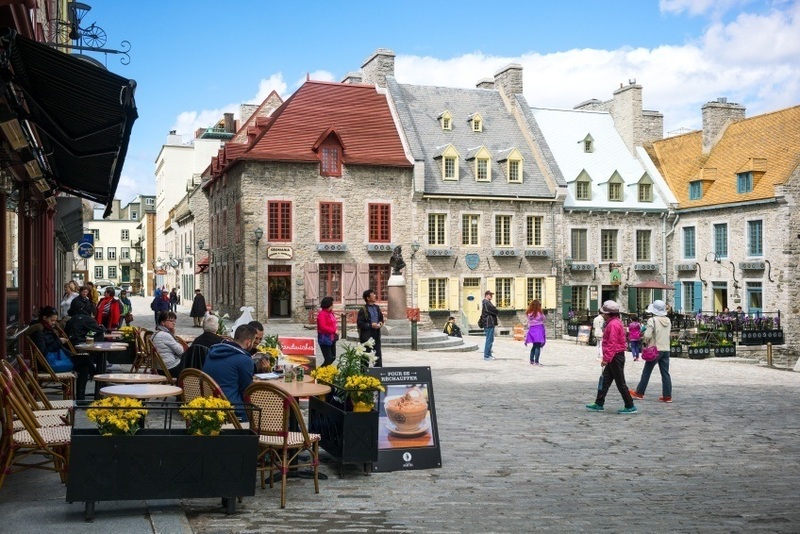 Whether it’s the party-atmosphere of Montreal, the European charm of Quebec City, or some of the most striking wilderness in Eastern Canada – you can’t help but fall in love. Montreal has gained a reputation as Canada’s most fun city, especially for the younger crowds. Indeed, the bars and clubs are some of the best you can find in the country, but there’s a lot to do and see here for visitors of all ages. Restaurants of all sorts, one of, if not the most storied hockey franchises, events like the Jazz Festival, and more are all on offer in the world’s second largest French speaking city (you can likely get by speaking English here, though you should try French at least!). For an even more authentic French-Canadian experience, one of North America’s most beautiful locales, Quebec City, is a must. 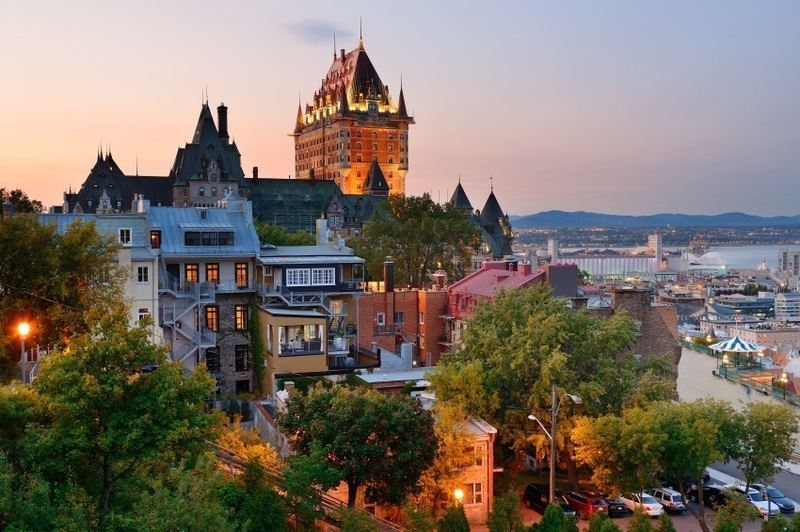 It’s the only fully walled city in North America and the cobblestone streets and cafes wouldn’t be out of place in ancient European cities, with the imposing Chateau Frontenac dominating the skyline. There are more modern amenities outside the old town as well, befitting a major city. If you visit during Quebec’s Winter Carnival, be prepared for crowds, but also one of the most entertaining spectacles you’re likely to see. As you move beyond Quebec City, the province opens up with eye-catching natural wonders of all sorts. As the Saint Lawrence River runs into the Atlantic, you’ll find yourself on the fantastic Gaspé Peninsula (just make sure you travel by way of the equally fantastic Saguenay). From the massive rock at Percé to the shipwrecks and whales, the region is packed full of maritime history and culture. Be sure to hop along the coast, but also spend some time in the forested interior (where some great camping can be found). As we enter the Maritime provinces, our first stop is New Brunswick. Do yourself and favour, even if you plan on visiting PEI or Nova Scotia – take your time and you’ll be rewarded with outdoor excursions, a unique culture, and some major cities to boot. The rugged port of Saint John might have a relatively unappealing industrial look to it, however the natural beauty of the surrounding region and the more historic parts of the city make it worthwhile. The narrow side streets offer an atmospheric escape from the refineries and factories that surround the town, while a trip into the nearby bluffs offer great sea views. 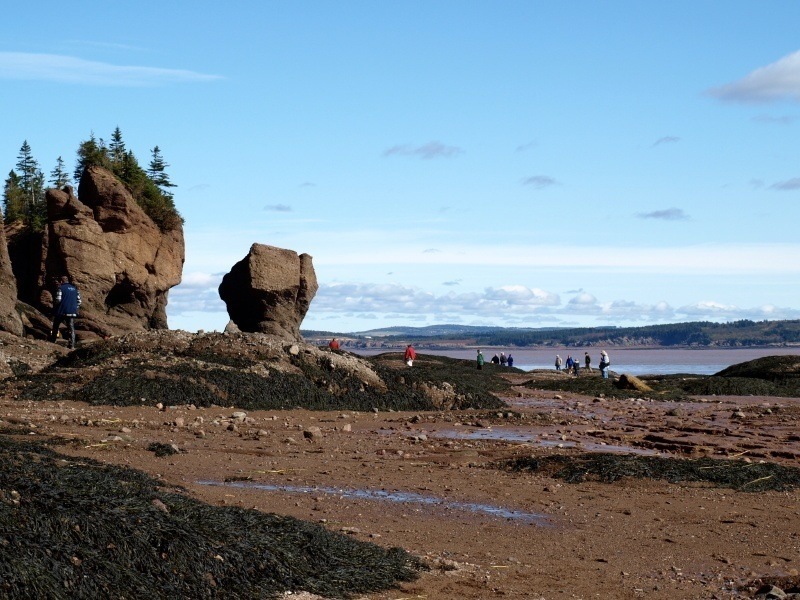 The nearby Bay of Fundy is famous for its huge tidal range. While taking in the world’s largest tide is a one of a kind experience, that’s not all the area has to offer. Whale-watchers will find themselves right at home while the seafood here is always among the best in the Maritimes. Also known as ‘Hub City’ thanks to its central location, Moncton is at the heart of the province’s largest metropolitan area. While there aren’t a huge amount of sites to keep you here for long, there are bars, restaurants, clubs, and farmers markets to enjoy. It’s a worthwhile stop over, especially due to its status as a transportation hub. Canada’s smallest province has captured the hearts and minds of Canadians and international visitors for over a century. From driving on one of the most impressive feats of modern engineering to even reach the island, the getaway only gets better from there. The capital of Charlottetown is the first stop for many visitors to PEI. 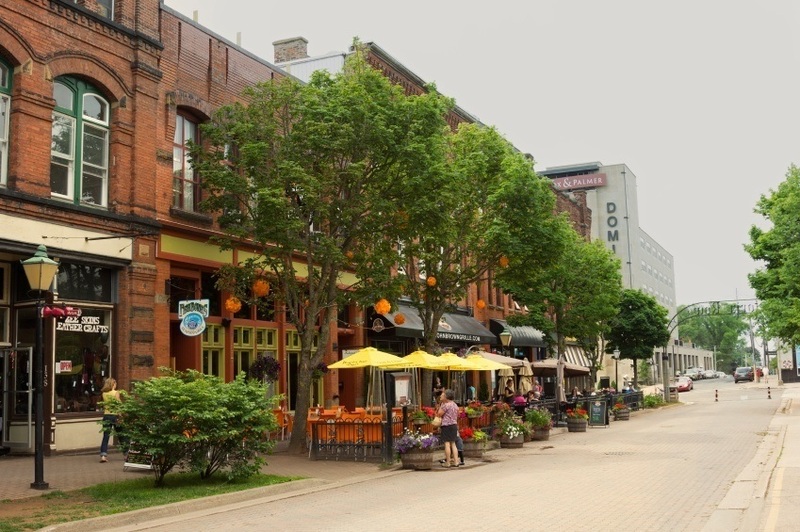 Founded back in the 1700’s, the city still displays many examples of Victorian architecture and was at the heart of some pivotal events in Canada’s history – namely the Charlottetown Conference in 1864. You’ll find quiet streets coupled with great food and cultural events within easy walking distance here. 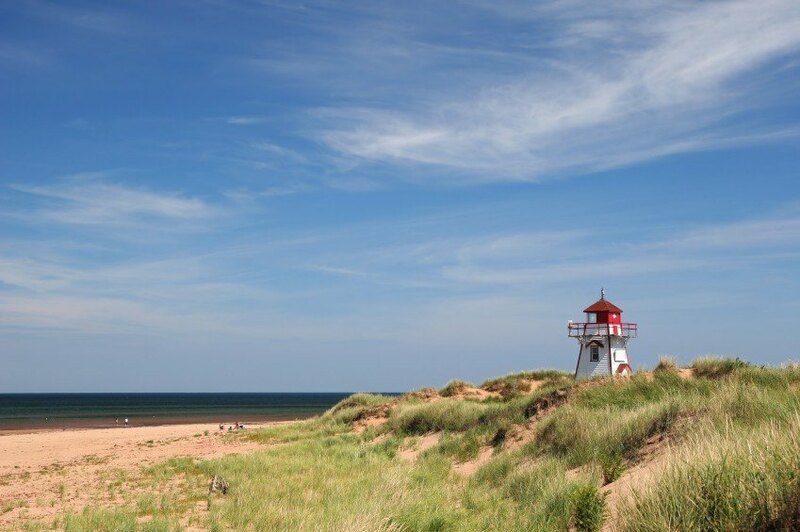 The area around Cavendish Beach is one of the most picturesque places on the island, and once you visit you’ll see why. The rock formations and long sand beaches juxtaposed with the chilly waters of the Atlantic make for a great scene – if not great swimming conditions. Of course, the Green Gables Heritage Place is nearby and is a pilgrimage of sorts for literary enthusiasts. 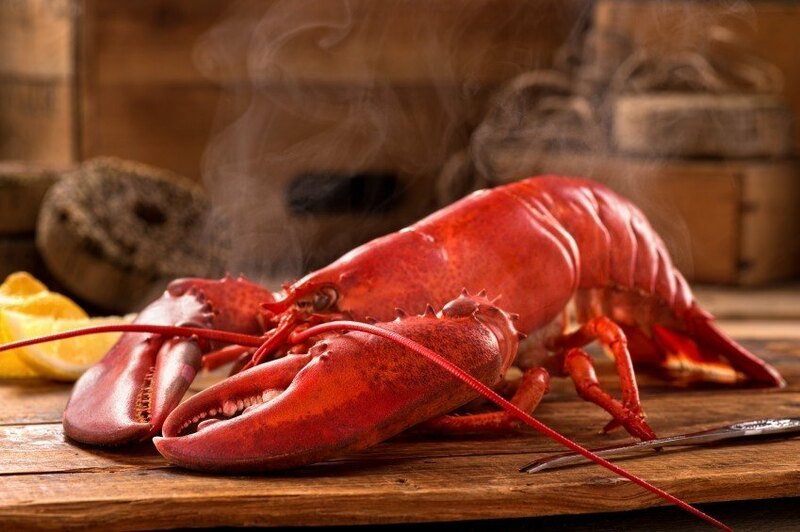 Okay, this isn’t really a place, but you have to try some Lobster if you’ve made it this far. What better way to end a day in this storybook location than by sampling the best cuisine the island has to offer? No matter where you are, you shouldn’t have any trouble finding some good quality lobster, plus those little forks are pretty fun. As we near the end of our journey, we arrive in one of Canada’s most charming and visitor-friendly provinces. Nova Scotia features unique remnants of Scottish culture (after all Nova Scotia means New Scotland), vibrant cities with music of all sorts, and some pretty darn beautiful coastline. The seaside city of Halifax offers the best of both worlds. As a down to earth port with a bit of cosmopolitan flair (and it’s a university town to boot), visitors of all ages will find something to keep them occupied. For the younger visitors, the bars and clubs will always be full while the parks, heritage sites, and great food appeal to any demographic. The picturesque Annapolis Valley is home to a wide variety of agricultural industries – from fresh produce to wineries. Nova Scotia’s coastline here is just as eye-catching as the rest of the region. In addition, the nearby Acadian outposts offer a window into an altogether different culture from the predominantly British influenced province. As a hotbed of Celtic culture and great scenery, Cape Breton has long been at the top of people’s lists for places to go in Canada. Whether you’re enjoying the sound of bagpipes, discovering the mining history of the region in Glace Bay, or simply relaxing along the coast in Sydney – the cultural vibrancy of Cape Breton is sure to enchant visitors from all walks of life. 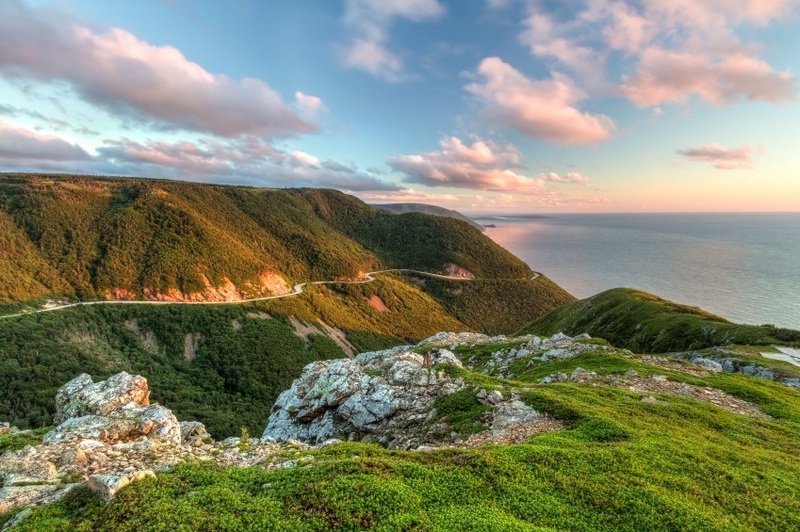 Drive the Cabot Trail to get a real taste for the island. We’ve reached the end of our journey… and our final destination is really quite something. Consisting of mainland Labrador and the island of Newfoundland, Canada’s most easterly province is somewhat removed from the rest of country, both geographically and culturally. If you can make the trip though, you might just find it’ll be the highlight of your adventure. 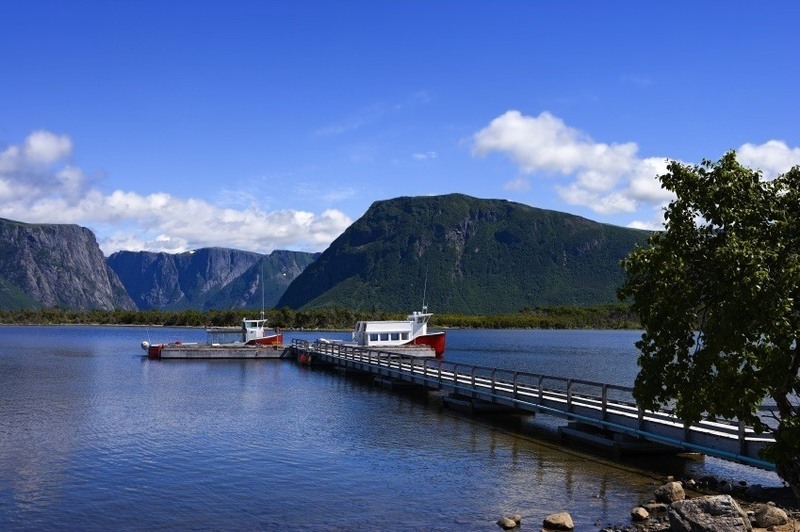 Arguably the premier destination on the West Coast of the island is Gros Morne National Park. The massive fjords, cliffs, and bays seem more Scandinavian than North American. Bald eagles, whales, and more make their home here and you can get up close and personal with many sea-kayaking or hiking options. The rocky and strenuous climb up the eponymous mountain is worth it for the view and bragging rights alone. This is the best of the best when it comes to the wilderness of Western Newfoundland, and shouldn’t be missed by any visitor to the island. Speaking of Scandinavia, if you venture up the West Coast to the northern tip of the island, you’ll eventually find yourself in L’Anse aux Meadows. What’s located here are the remnants of a Viking settlement dating back to the year 1000. As the premier (and only concrete) example of pre-Columbian European colonization in the Americas, the National Historic Site offers a window into Norse history, lifestyle, and exploration. It doesn’t hurt that the coastline and scenery is characteristically beautiful as well. Where better to end our cross-Canada journey than the most easterly city on the continent? Newfoundland’s capital St. John’s is certainly a worthy finish to our trip. A vibrant Irish and English influenced culture (with an abundance of home-grown Newfoundland twists) and a bustling arts scene is sure to keep you occupied. Many musicians got their start here, including folk, Celtic, and rock groups (or all of the above à la Great Big Sea) and the music scene is still alive and well. Newfound oil-wealth has contributed to an increase in the more trendy side of life, with great food options throughout and greater numbers of young people moving in. Be sure to venture up Signal Hill where Cabot Tower and unbeatable views over St. John’s, its natural harbour, and the ocean await. Once the sun goes down however, you’ll find this writer on George Street with a pint in hand. Prices of course vary throughout the country but, without the fluctuating exchange rate that comes with international travel to think about (for better or worse), they’ll remain generally constant. A day’s cost when traveling will run about $130 Canadian with $60 for accommodation and $32 for food. This will depend on where you are, as cities such as Vancouver and Toronto are generally pretty expensive, while parts of Quebec or the Maritimes can be cheaper (though you have to factor in getting there). In general, there’s no rule of thumb, as it’ll depend on how many comforts you desire and how you like to travel domestically. 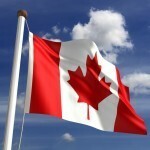 Canada is a relatively safe country, with a lower crime rate than the United States. That being said, be careful in big cities as criminal activity, ranging from petty to violent, does occur. Auto-theft in Montreal in particular is a widespread issue. If you plan on hiking or venturing out into more remote regions (especially near the Arctic circle), do not overestimate your skill level or navigational abilities and travel in a group with someone who knows what they’re doing. As long as you use common sense, you should have no trouble seeing most everything our country as to offer. These are just a few examples of places to go in Canada, there’s tons more to see and do. If you think somewhere else should be on the list, let us know in the comments. 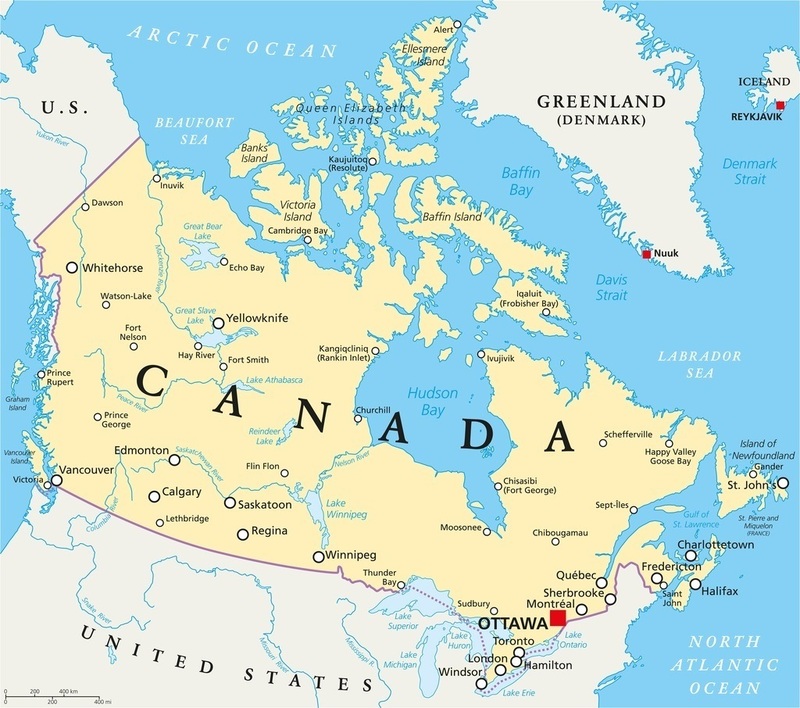 Check out our Country Profile for more general information about Canadian history and culture as well as our Spotlight for info on the Canadian dollar.